Planning a trip to Disney World and you want to stay onsite without breaking the bank? Then the Walt Disney World Value resorts might be just what you are looking for. 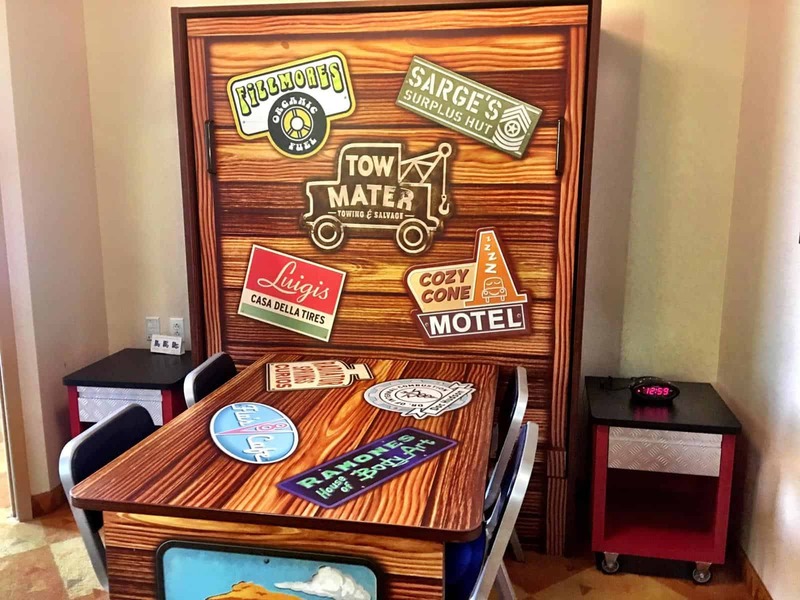 Over-the-top theming, family-friendly dining, and budget-friendly rates are just some of what you will find at the Value resorts. 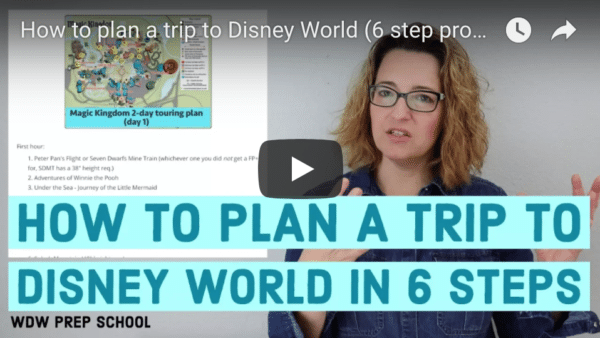 If that sounds like something you'd be interested in for your next Disney World Vacation, keep reading! The Walt Disney World Resort is huge, and outside of its 4 main theme parks, 2 water parks, shopping district, and sports facilities, it is also home to over 2 dozen different resorts with a total of over 30,000 rooms. All of those resorts and rooms means you have a ton of options to choose from when planning your vacation. When trying to decide which resort is best for your family, many people start by looking at average prices and resort amenities. 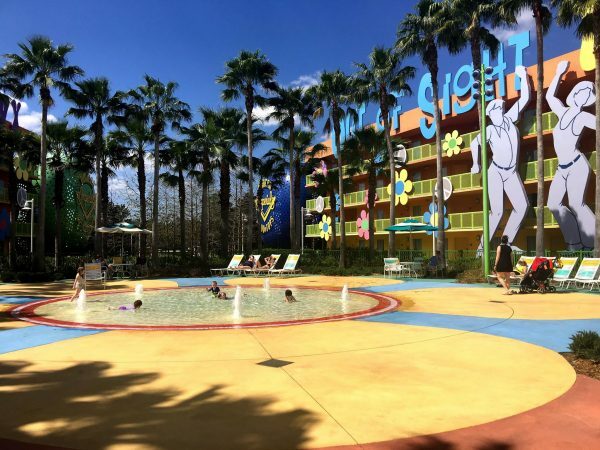 Disney World Value resorts are an excellent choice for anybody looking to maximize their budget. These family-friendly resorts are home to some of the most Disney-esque grounds of all the resorts, making them lots of fun for young kids (and the young at heart). The average room size for a standard Value room is approximately 260 square feet. Want to see how that stacks up against other resort categories? Check out the comparison chart below. As you can see, the Value rooms run quite a bit smaller than the rooms in the other categories. For some guests that can be a deal breaker. But for guests that use their rooms just for sleeping, the smaller size is well worth the money they save. Two of Disney's Value resorts (Art of Animation and All-Star Music) do offer slightly larger rooms called Family Suites. 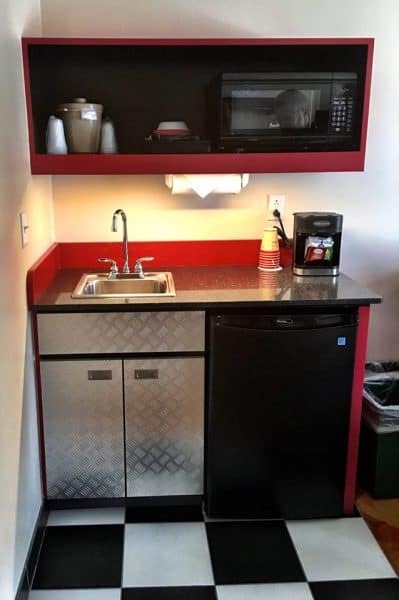 These rooms typically run slightly more expensive than booking 2 standard rooms at a Value resort, but they allow your family to all stay in one space while also giving you a small kitchenette area, as well as multiple bathrooms. If you take away all the fun Disney stuff on the exteriors, you'll see that the buildings themselves resemble motels like Super 8. You may also notice that the rooms are accessible via exterior hallways and corridors versus interior hallways. The only exception to this are the buildings housing the Family Suites at Art of Animation. Those buildings all have the room doors opening up to interior hallways. 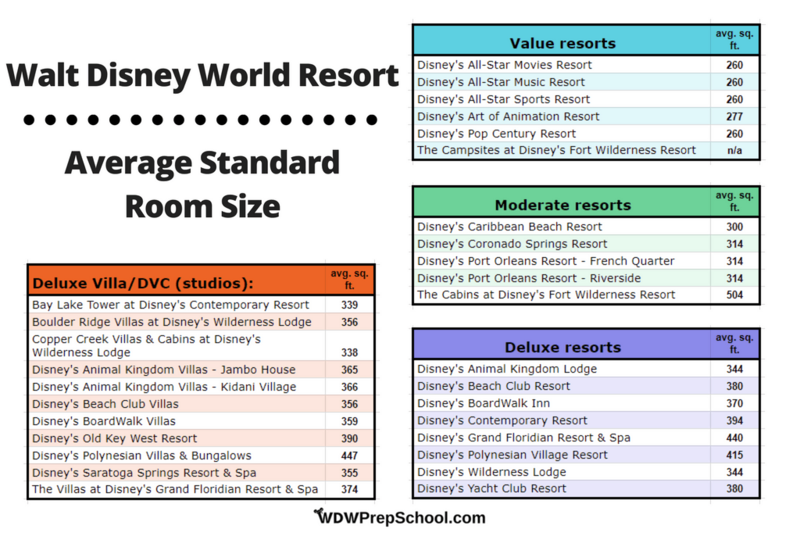 Disney World Value resorts have the most economically priced resort rooms when compared to any other on-site resort options. Prices for Value rooms start around $110 during the slowest times of the year. That price point is a huge selling factor for many families and is definitely something to consider when planning your trip. While most room categories at Value resorts are frequently eligible for discounts, the Little Mermaid Rooms at Art of Animation never are, not even for popular discounts like Free Dining. The other room categories (Standard, Preferred, and the Family Suites) are frequently eligible for discounts. 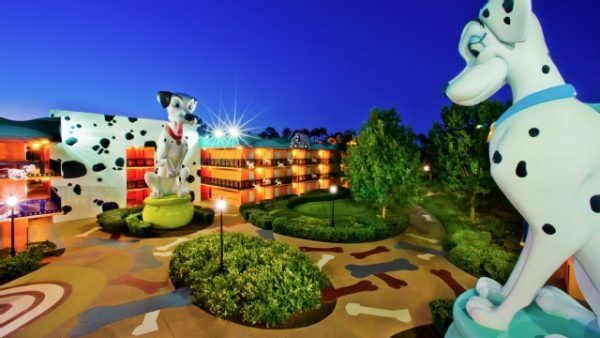 However, the number of rooms Disney will allow to be booked at discounted rates are limited. Most people don't realize that just because 1.) a discount is out and 2.) the resort you plan on staying at is eligible to have that discount, it does not mean you will automatically get the discounted price. 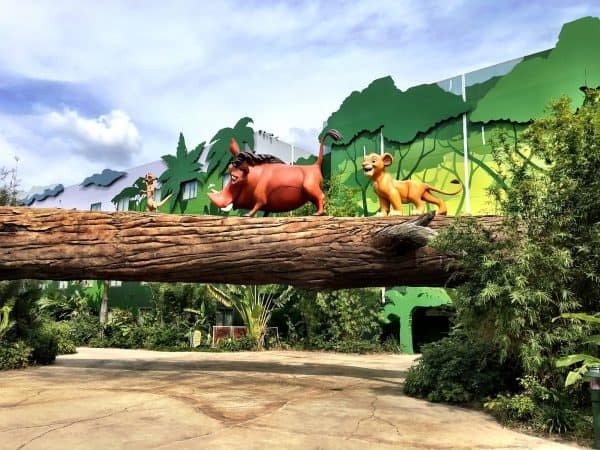 Discounts have to be applied (either by initially booking under the discount or modifying an existing reservation to include it), but once the number of rooms that Disney has made available to be booked under a discount have been secured, that's it. More availability for rooms at a discount won't open up unless somebody cancels or Disney decides to release more rooms. 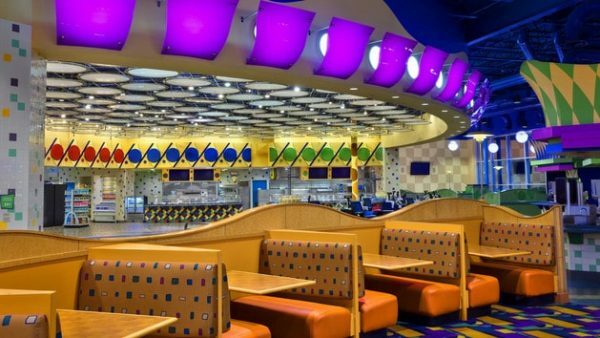 When it comes to theming, the Value resorts at Disney World are about as fun and over-the-top as they can get. 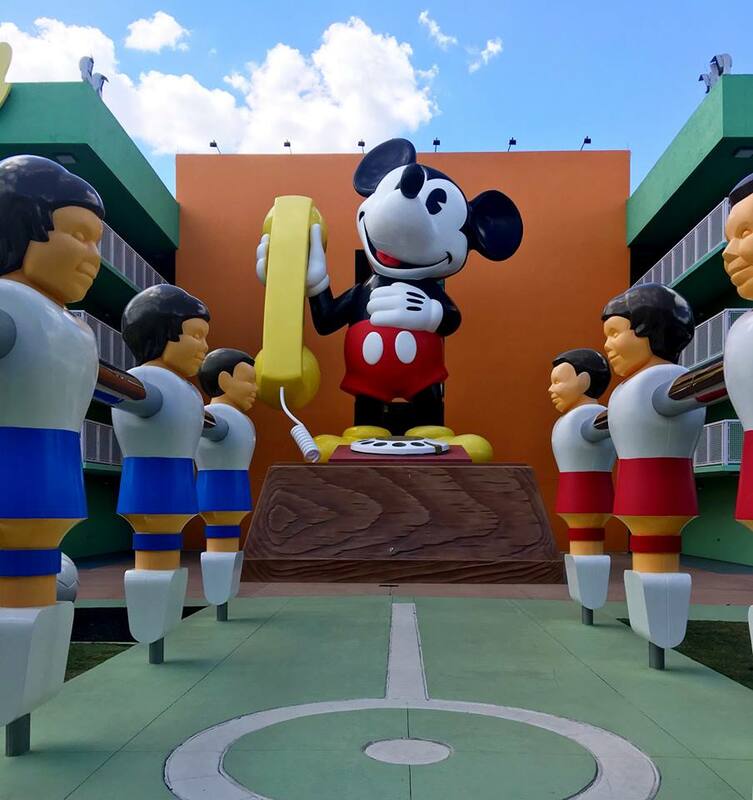 From multi-story, giant Disney icons flanking the buildings, to larger-than-life sports equipment, to the immersive movie sets from your favorite Disney films, the Value resorts are all about in-your-face Disney fun. Compared to the other levels of resorts, the Value resorts definitely scream "Disney" a lot louder. Even though the resorts are at the Value level and some of their amenities (like room size) might be compared to less expensive hotel options (like a Super 8), they are definitely still on Disney property and the theming inside and outside the rooms reflect that. Disney Value resorts have 1 large themed pool and usually a couple other smaller pools. Value resorts do not have any slides (all other resort price levels do), but some may have water play "spraygrounds" and/or children's pools. The pool at Art of Animation (since it is one of the newest resorts on property) also has fun features like under water music, something you won't find at any other Disney resorts. Value resorts at Disney World have Quick Service dining options and in-room pizza delivery available. All of the Value resorts also have a bar area nearby the pool, making it easy to sip a beverage (or 2) while you soak up the sun. The Quick Service dining at the Value resorts usually have several different stations where you can find lots of different options like burgers, pasta, pizza, etc. When it comes to Quick Service dining, you can't beat the number of options you'll find at the Value resorts. Unfortunately, Value resorts do not have any table service dining options. While the lack of Table Service dining may turn some people away, some of the restaurants, like Landscape of Flavors at Art of Animation, have good food at a fantastic value. And since there are so many options for all meals of the day, it can make dining with picky eaters much less stressful. Currently, if you want to leave the driving to Disney, bus transportation is the only Disney transportation option from the Value Resorts. However, Disney is adding another option! Soon, guests at Pop Century and Art of Animation (as well as Caribbean Beach, which is a Moderate resort) will have access to the Disney Skyliner. The image below reflects the proposed station at Hollywood Studios, and in true Disney fashion, the stations look like they will be almost as cute (and well themed) as the gondola cars themselves! In 2018, Disney began charging all resort guests for parking. The cost for parking at a Value resorts is $13/night. 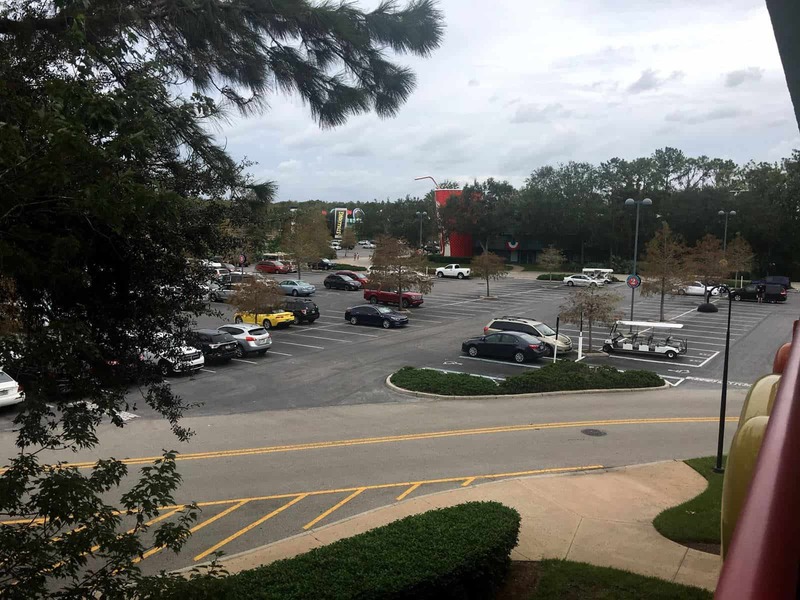 If you are thinking about driving to Disney World or if you are planning on renting a car, we recommend you take a look at our giant post all about parking at Disney World. Not only are the All-Star resorts located right next to each other, they are all very similar in their layouts and amenities. And, while Pop Century and Art of Animation are close together, there are definitely reasons why we think one is better than the rest. 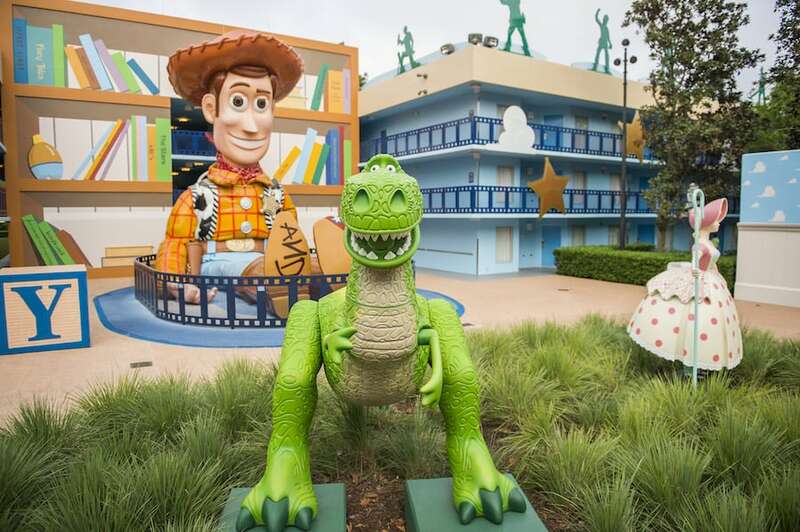 Themed after Disney movies like 101 Dalmatians, Toy Story, and Jungle Book, movie fans naturally gravitate towards the appearance of this resort. 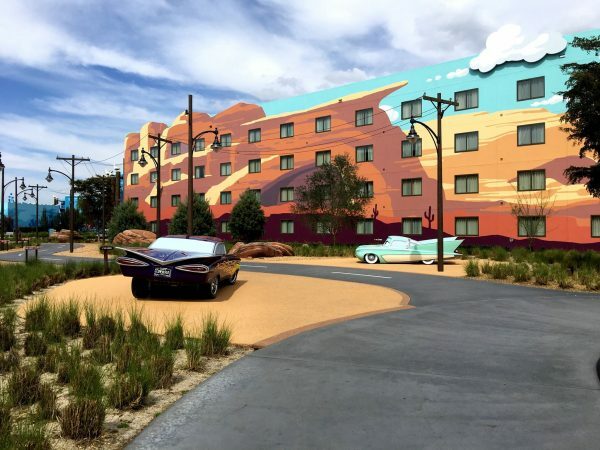 One of the main downsides to this resort, however, is the fact that when the All-Star Resorts are sharing buses (typically during busy times of the day or busy times of the year), All-Star Movies is often the last to be dropped off and picked up. That means by the time the bus makes it to you, there may not be any place left to sit. This fun resort is themed after all things sports, including large icons celebrating baseball, basketball, football, surfing, and tennis and the larger-than-life aspects of it makes this resort especially fun to see. All-Star Sports is also the first of the All-Star resorts to be dropped off and picked up, which is a definite plus to this resort. The main downside to this resort, however, is that All-Star Sports is the primary resort for large groups. So when school groups, cheer, Pop Warner teams, etc. book, All-Star Sports is the first Value resort that fills up. Something to keep in mind when you book. All-Star Music celebrates a bunch of different music genres (including country, jazz, rock 'n' roll, calypso, and Broadway), and you'll find it located in the middle of the other 2 All-Star resorts. 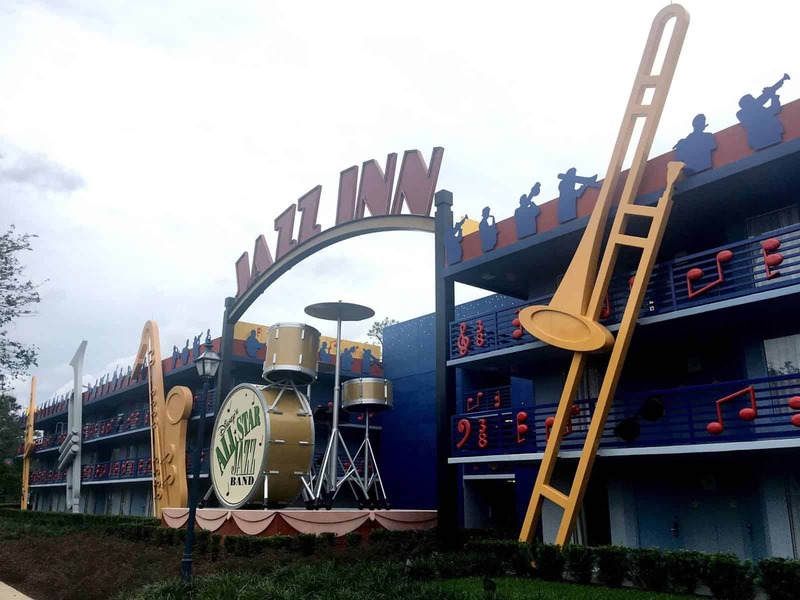 Unlike the other 2 All-Star Resorts, All-Star Music has Family Suites in addition to the standard room layouts. These Family Suites are slightly less expensive than the suites at Art of Animation but you still get the extra room and kitchenette. 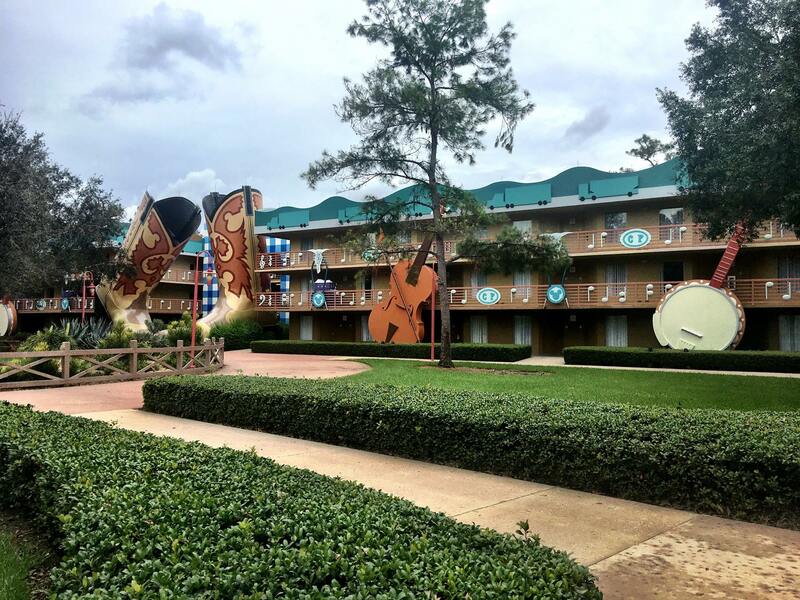 The additional room layout options makes All-Star Music our favorite out of the All-Star resorts. The newest Value resort, Art of Animation is simply amazing. 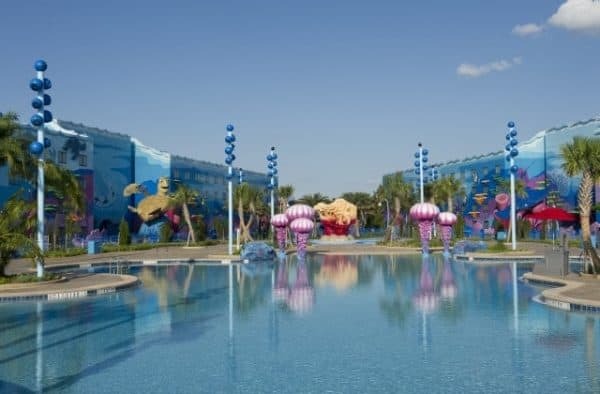 Fun, colorful, and 100% Disney, the resort is primarily made up of Family Suites (in buildings themed after Lion King, Finding Nemo, and Cars), with a couple of buildings of standard rooms that are themed after The Little Mermaid. The Little Mermaid rooms, however, are very far away from the front of the resort (where you would catch a bus, dine, or swim in the main pool), and the Family Suites are quite expensive. 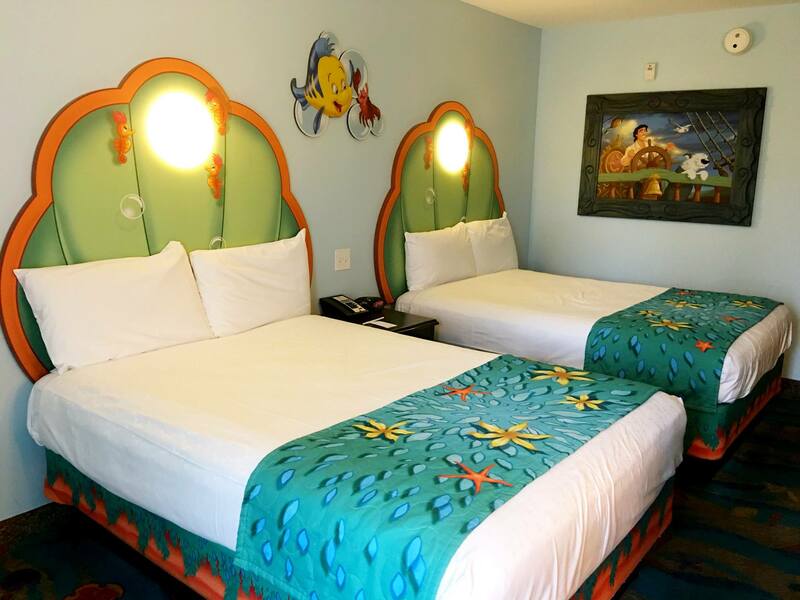 In addition to being far away from everything, The Little Mermaid rooms are also never part of promotions, so you'll have to pay full-price if you want to stay in one of those. When it comes to transportation, Art of Animation doesn't share buses (which is a very nice perk), and they will soon also have easy access to the Disney Skyliner gondolas which will provide access to Hollywood Studios and Epcot. 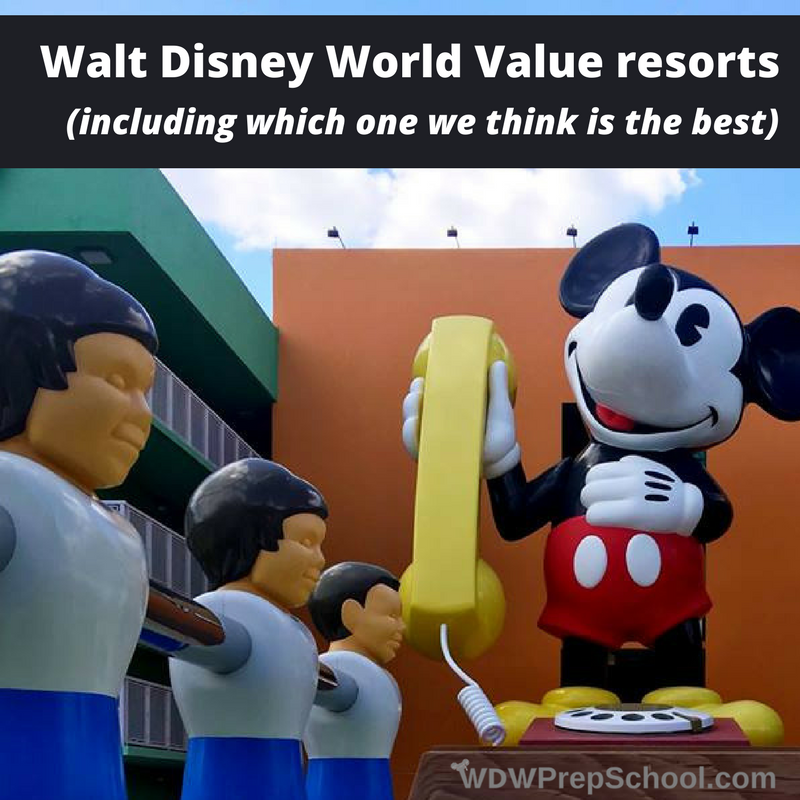 That means we think the best of all the Value resorts is Pop Century. This resort has an almost cult-like following, and the recognition as the best Value resort is much deserved. Themed after the decades from the 1950's-1990's, Pop Century has dedicated buses, and the price is more inline with the All-Star resorts than the pricier Art of Animation. 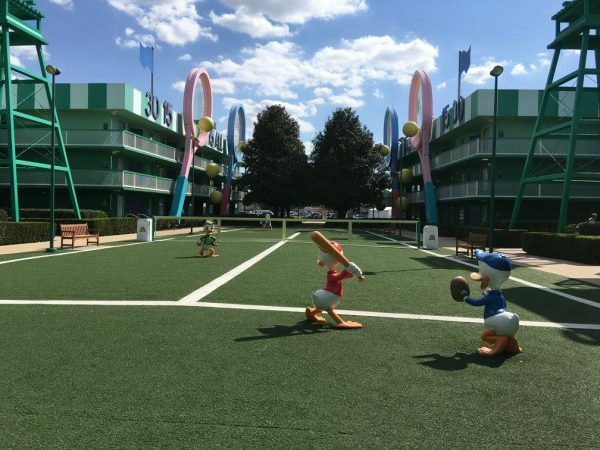 But since it sits so close to Art of Animation, you're able to walk over to that resort to enjoy the theming or even to dine (but not to pool hop - that isn't allowed). Pop Century has also just gone through a recent lengthy room refurbishment. This new room layout upgrades all rooms from full to queen sized beds, one of which folds down from the wall (all the other standard Value rooms are full-sized beds). The fold down, Murphy-esque bed may sound like it would be uncomfortable, but it isn't. These are beds that are extremely high-quality and feel just like regular beds. Being able to fold it up against the wall frees up a lot of space when the bed isn't in use. And, don't forget: like Art of Animation, Pop Century will also soon have access to the Disney Skyliner gondolas, another huge perk for this Value resort. The price-point, transportation, and new room design make this resort our #1 choice out of all the Value resorts. There you go! 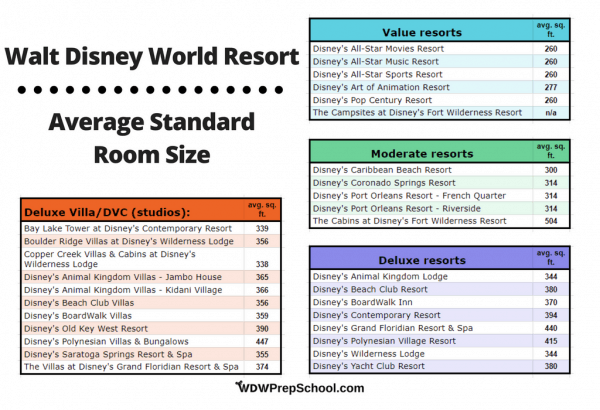 Hopefully we covered everything you'd want to know about the Disney Value resorts. Did we leave anything out? Let us know in the comments. I wanted to know if the new renovated rooms will be big enough or spacious enough for 3 adults and 1 child (4 yr)? WE will be staying to pop in December!!! Anyone know if all the rooms have been refurbished at Pop? I just got back from a family trip and we stayed in a refurbished room. We had 10 people total and 3 adults and 1 child in our room. 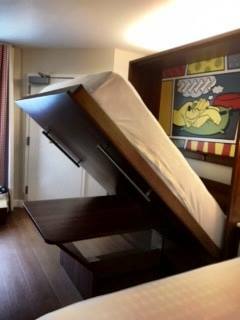 The Murphy bed was very comfortable. And it was so easy to just pop it back into the wall each morning. Then we had a table and extra space. Would definitely stay there again! I agree…love Pop . Would love to take a peek inside the lion King Family suite at AA ..its our favorite movie. You have to peek at the 3 br deluxe villas at AKL… the Lion King themed shower is amazing.